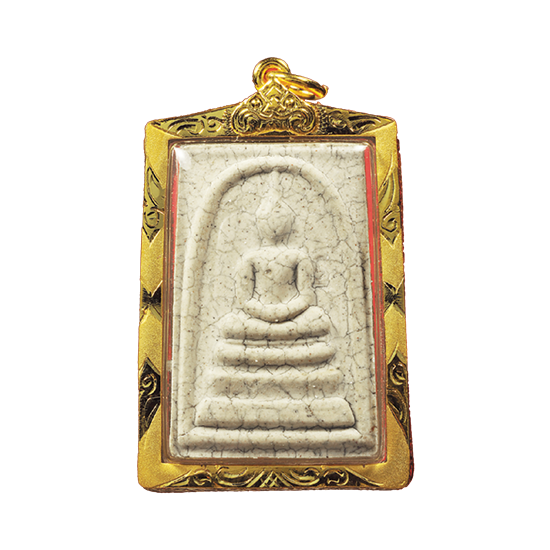 Pra Somdej Wat Rakang Kositaram 10 famous Pim (models) of Thai Buddha Image Amulets. Box Set for serious collectors. Each amulet comes with gold plated waterproof casing. Comes in wooden decorative box. 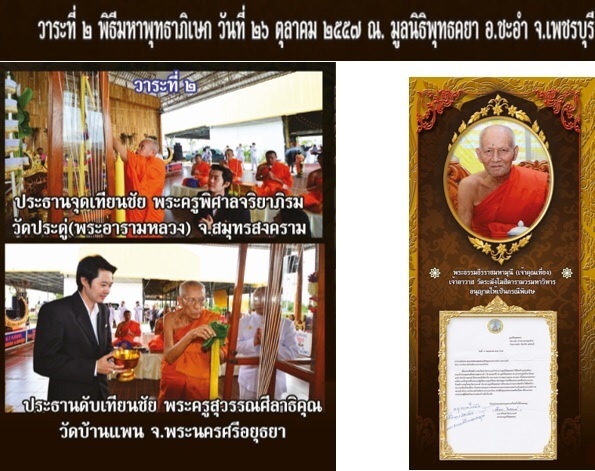 Released in the 108th anniversary of Somdej Pra Puttajarn (Dto) Prohmrangsri of Wat Rakang Kositaram, as replicas of the original models made by Somdej Pra Puttajarn (Dto) Prohmrangsri and in reverence of his Merits, as well as in recognition of this most classic Benjapakee range of Pra Somdej amulets from the Master of Masters, Somdej Pra Puttajarn (Dto) Prohmrangsri. 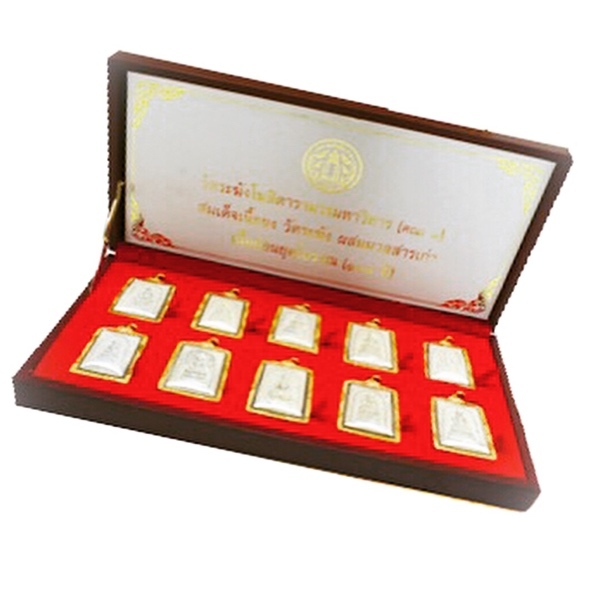 This is a special Gammagarn box set with the complete range of Pim Pra Somdej Wat Rakang Kositaram contained in a luxurious wooden box set. 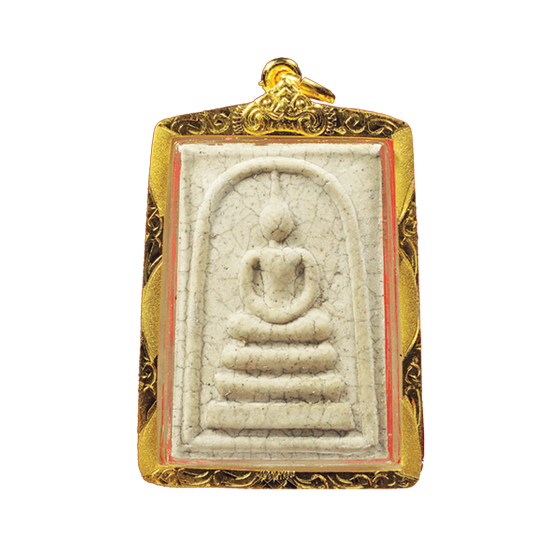 These sets were made as heritage family heirloom amulets, and are highly recommended Buddhanussati (remembrance of Buddha), for your family and for you to pass on to future generations in your family. Their beauty will only increase as will their sacred value. 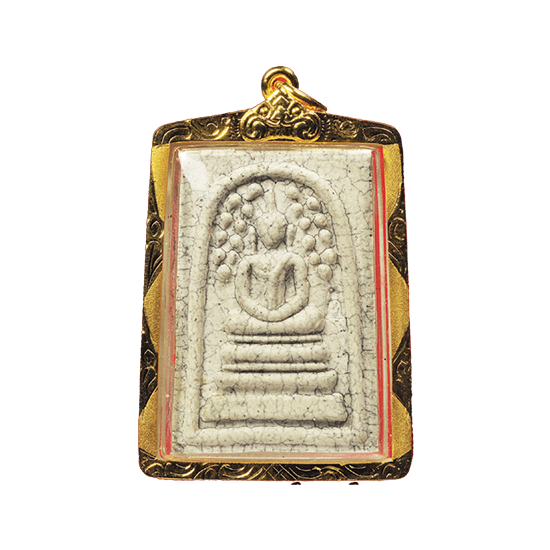 Pra Somdej is an eternally valid amulet for all Buddhists, and can hence never go out of good taste of popularity. 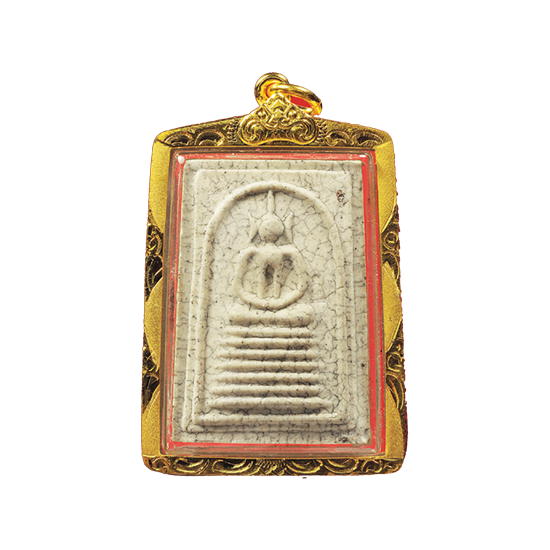 Pra Somdej is probably the amulet that will survive all other amulets, for its purely Buddhist Influence and Imagery, as well as for the fact it is one of the most sacred forms of image for Buddhists to Bucha. The Miraculous Power of Pra Somdej has been the stuff of legend since more than one and a half centuries already, and continues to seduce devotees with its Metta Mahaniyom power, and Maha Lap wealth Increase Blessings, as well as its well renowned Klaew Klaad and Kong Grapan Chadtri power. The set consists of ten different Pim (models) in the ‘Yorn Yuk 108 Pi’ one hundred and eight years anniversary edition amulets 2556 BE. 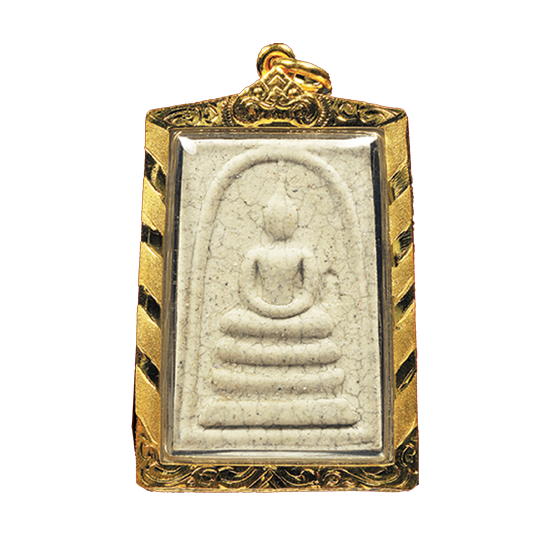 Free gold micron plated waterproof casing is included with the amulets, which come in the original wooden silk lined box from the Temple. 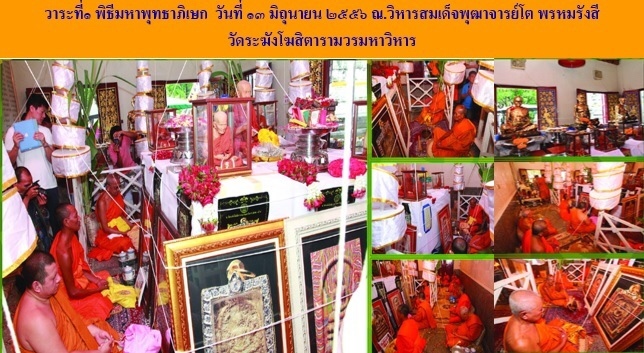 Blessing ceremony presided over by the Abbot of Wat Pak Nam (Wat Luang Por Sodh). Made from Nuea Pong Puttakun Pasom Pong Gao (with powders from the original edition of Pra Somdej Pra Puttajarn Dto). 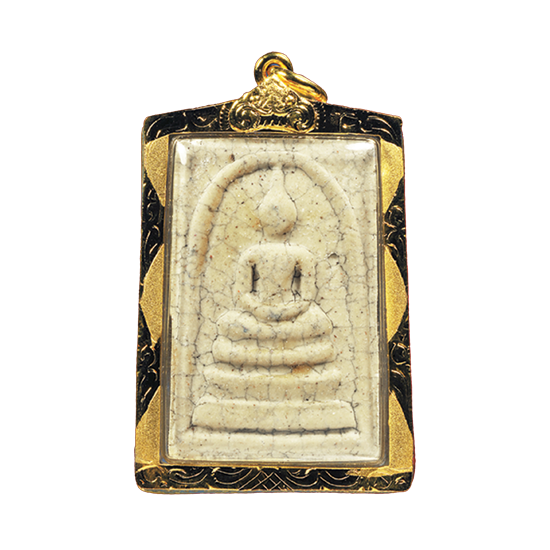 These 10 different models are perhaps the 10 most famous Buddha image amulets in all of Thai amulet making history. 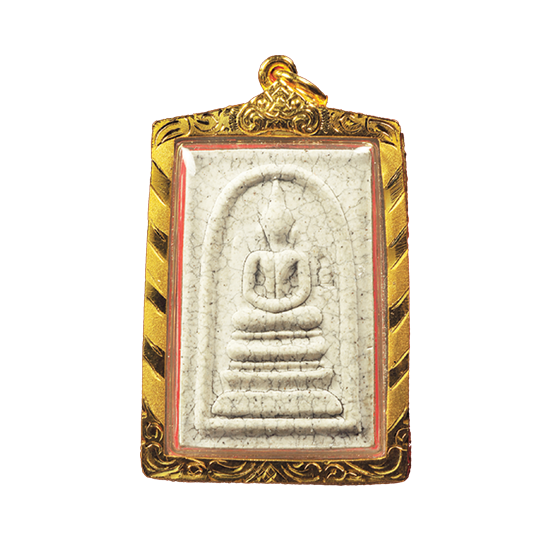 The prestige which they have carried throughout the decades and even over the centuries now, has come to be known around the world as the most classic amulet of all Thai Buddhist amulets. 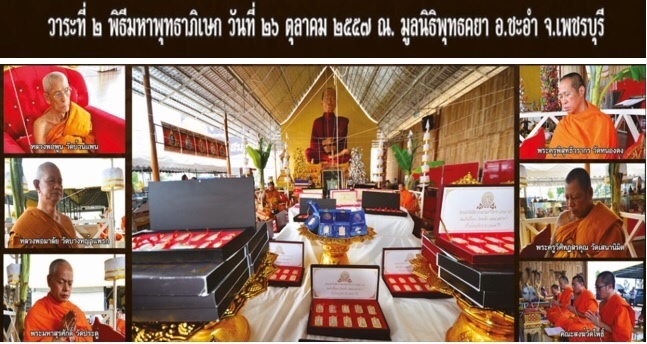 This particular edition was released in 2013, and celebrates a 108th anniversary ‘Yorn Yuk’ memorial edition of Pra Somdej amulets of the type made by Somdej Pra Puttajarn (Dto) Prohmrangsri of Wat Rakang Kositaram. Each of these 10 different models, have been encased already in waterproof casing, with gold plated frame. They were released as single amulets, and also in this special Gammagarn wooden box set, which contains all 10 different models. The box set, was released as a special limited collectors edition. 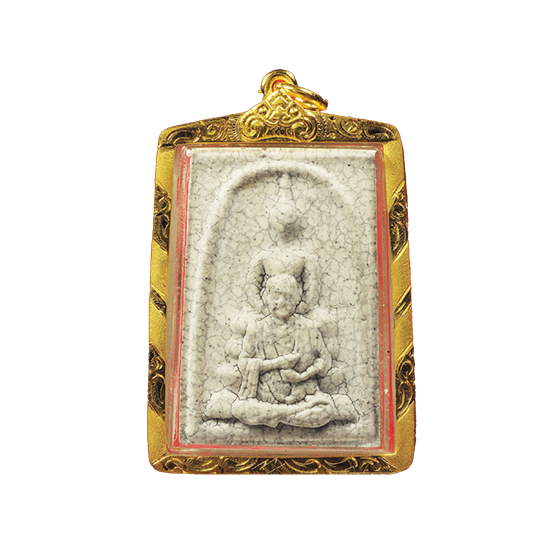 In addition to this, there was also a very special amulets released, which was one of the older amulets that had been hidden within the chedi stupa of the Buddhist temple at Wat Rakang Kositaram. 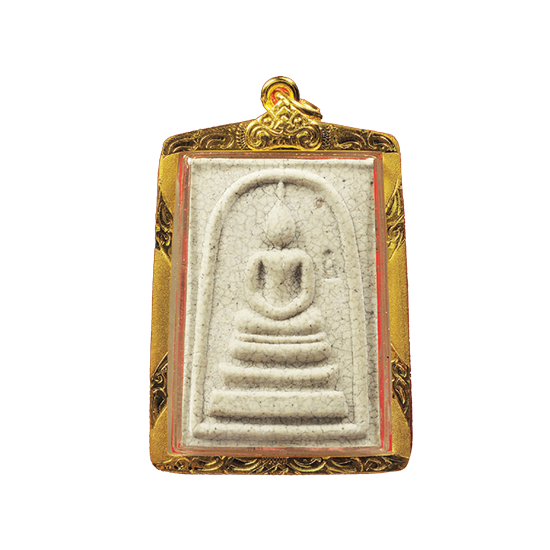 This amulet, it was different and made from the original sacred powders of the Great Somdej Pra Puttajarn (Dto) Prohmrangsri. 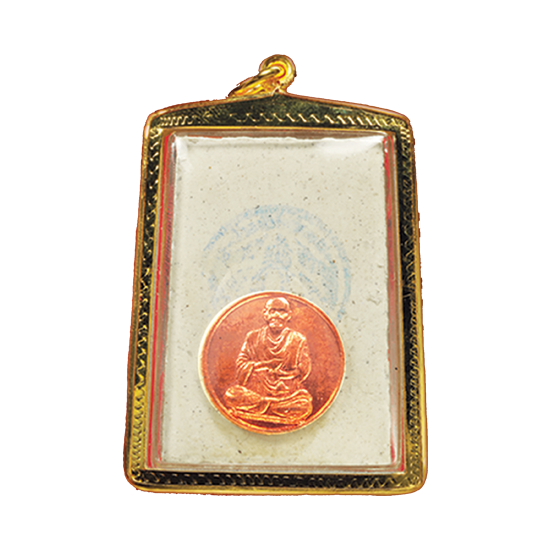 The Rear face of each amulet, features a sacred copper coin inserted with the image of Somdej Dto. The traditionally visible ink stains of the rubberstamp from the Temple are visible also on the rear face. They had been hidden in Burial Gru chamber within the Chedi (unusual for Wat Rakang amulets, which are usually sunbaked but never buried), and have been occasionally released over the years, in various editions of amulets. 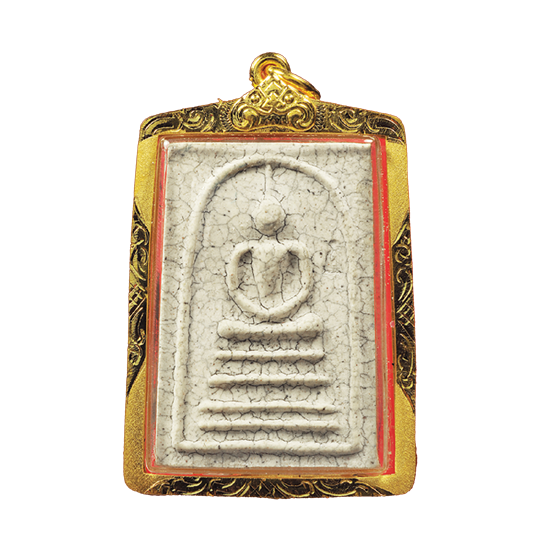 Whenever a special occasion, or needy purpose arises for raising funds for any projects needed to be realised, sometimes, these special amulets are released without any previous warning. Two Blessing Ceremonies were performed over these amulets, the first time being chanted (Buddha Abhiseka) within the Vihara Shrine to Somdej Dto, at Wat Rakang Kositaram. The second Buddha Abhiseka was performed on the 26th October 2557 BE, at the Bodhgaya Foundation of Petchburi, with the Abbot of Wat Pradu (Pra Kroo Pisarn Jariya Pirom), in Samut Songkram, and the Abbot of Wat Ban Paen (Pra Kroo Suwan Silatikun), in Ayuttaya, to perform the lighting and extinguishing of the victory candle.